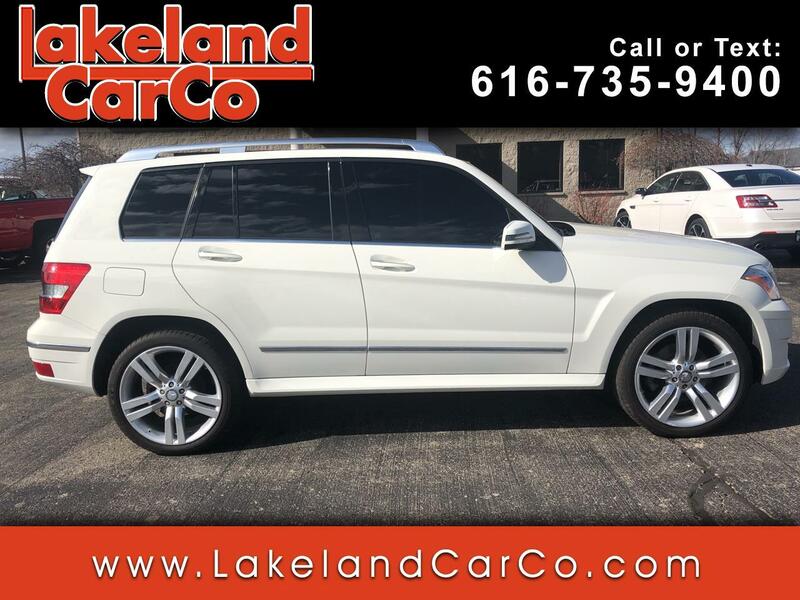 Used 2012 Mercedes-Benz GLK-Class GLK350 4MATIC for Sale in Grand Rapids MI 49534 Lakeland Car Co.
Our 2012 Mercedes-Benz GLK350 in Arctic White is a creative mixture of muscular design that offers brilliant drive dynamics and luxurious features. This 2012 has distinctive lines that mean business and the dual overhead cam V6 delivers 268hp that can easily tow over 3000 pounds. Our power-plant is tethered to one of the most versatile 7 Speed Automatic in the world that offers perfect gearing for any travels or driving style. The added fun of Touch Shift offers Manual-style shifting in this 4MATIC machine. Included for your pleasure is a full sport suspension, beautiful 19 inch wheels, and an attractive rear spoiler. The mild growl of the dual exhaust creates a true driving pleasure. Don't forget the white LED running lamps that set you apart from the crowd with a clean and crisp look. Inside this amazing GLK is a well designed, superbly crafted cabin that will put driving enjoyment and innovative technology close at hand. With easy to read instruments and user-friendly features as seen in our pictures you will understand what we mean. Taut and purposeful, the GLK-Class is designed to be flexible in accommodations while rigidly adhering to the Mercedes-Benz standard for driving satisfaction. Its angular silhouette, powerful wheel arches, and short overhangs convey its rugged strength, and surefooted style. The missing part is you. So, print this page and call us Now... We Know You Will Enjoy Your Test Drive Towards Ownership! Visit Lakeland Car Co. online at www.lakelandcarco.com to see more pictures of this vehicle or call us at 616-735-9400 today to schedule your test drive. Message: Thought you might be interested in this 2012 Mercedes-Benz GLK-Class.